The search for the perfect boot is always a struggle for all men, including myself. There are so many styles and they all come at so many different price points. However, if there is one thing that I have learned about shopping for boots for myself is that you have to make an investment. The price point will reflect upon the style, comfort and longevity of the shoe, but most importantly the quality. Guys typically treat boot shopping as a purchase that will last them a couple of years. Though that is a great economic view at purchasing footwear, one needs to also consider the variety of styles and the function that is intended for them. This guide should help you pick out a few different styles that you will need forever. 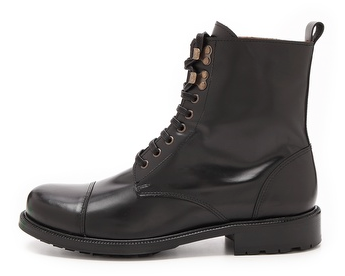 The military inspired boot is always a classic, it can be paired with dark denim and black jeans. The style has been around for decades but for a modern twist, the style has been trimmed down to create a sleeker silhouettes. You can find military boots anywhere but the reason why I love the Apolis Boot above is because it is so sharp, it can be worn with a tweed suit for the Nick Wooster look. 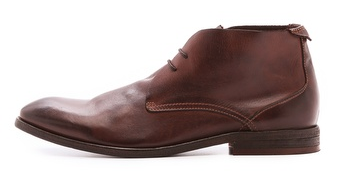 Formed in the 1940’s by Clark’s Shoe Company, the chukka boot was an iconic figure in footwear. Since then the style has remained to being one of the most popular shoes and offered by every major footwear brand in the world from Gucci to Cole Haan. The H by Hudson’s featured above are great because of their burnished toe detailing and contrast tone stitching, making it the perfect style to own for the rest of your life! No style compares to the brogue boot, with effortless class and detailing to make it the most versatile boot style of them all. Whether you wear them with jeans or a suit, you are bound to catch the attention of everyone’s eyes when they see this dashing pair by Loake Shoes. Created by Mr. J. Sparks-Hall, the footwear designer of Queen Victoria in 1851, the chelsea boot has garnered attention of stars and gentleman everywhere for centuries. With The Beatles, The Olsen Twins and other several style icons rocking a pair, the style is a mainstay in your footwear closet. 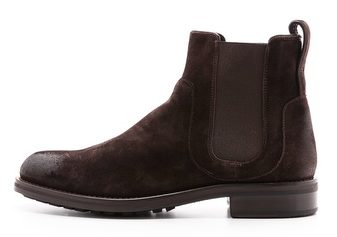 The Vince Chelsea Boot shown above is great because it comes in the supple suede and had the gorgeous side detailing on it. 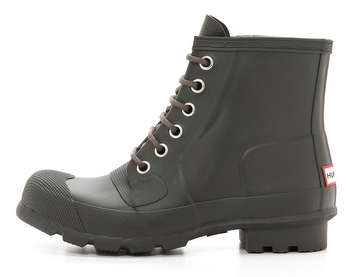 Hunter Boots is the leader in rain boot styles, and I am obsessed with this boot that is a little more modern, and also looks a little more dandy than the original wellington shape. I love my pair of Hunters Boots I recently picked up from East Dane as well, but this style is more versatile and definitely cooler. With the style and luxury appeal of a Cole Haan shoe and the light weight and comfort of a Nike sneaker, this Lunargrand boot is definitely a new necessity for every guy. 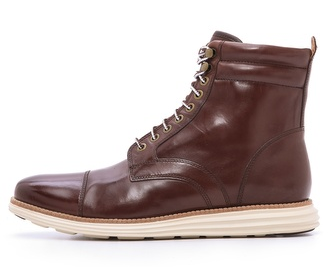 I own a few pairs of the lunargrand oxfords and based on my experience, they have to be my favourite shoes ever. 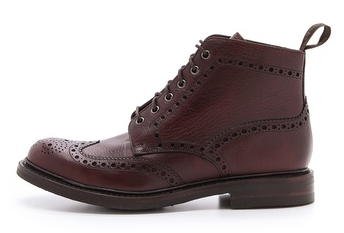 They are super comfortable, but still offer the dapper flair of a dressier style like the boots above.